You must be a member of the Istanbul Financiers Group to attend this activity. Would you like to join this group? Why not take a walk and talk as a warmup for the Istanbul financiers group? 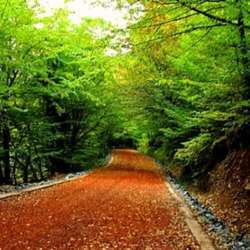 Lets meet and take a walk in the Belgrad forest on Sunday afternoon. After the walk, we could grab something to eat & drink and talk about our finance network, get to know each other. We will meet at 14:30 at Protected content and go to forest together with drivers. Please send me message for the car arrangements, if you will come with or without a car.